The song was written by Laurent Boutonnat (music) and Mylène Farmer (lyrics). 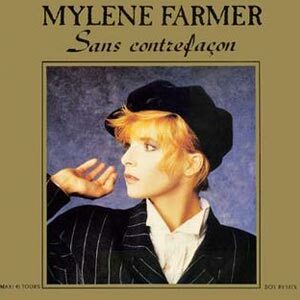 “Sans Contrefaçon” (Without Counterfeit) was released as the lead single from Farmer’s second studio album, “Ainsi soit je…”. The single was released in October 1987 with “La ronde triste” on the B-side. The single reached number 2 in France and #9 on European Hot 100 Singles chart.